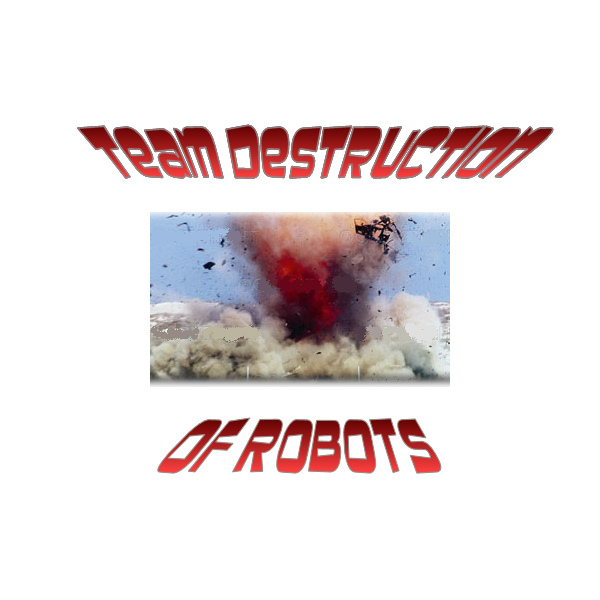 Welcome to the Team Destruction of Robots homepage. Seeking the Truth - Video footage from Robot Battles 35 @ Dragon*Con 2009 is up. Seeking the Truth won the ant weight division with Logan driving! Fluffy Bunny - Nobody wants to see the video footage of these fights. 6 boring pushing contests resulting in two losses. For his birthday this year, we went to the Rochester Robot Rampage (R3) and saw real Battlebots live. It was the highlight of Logan’s life! After talking to some of the builders in the pits (especially Brady and Logan of Steel Reign fame), we decided to finally attempt building our own antweight bot. Jerry (SubZero) told us about Builder’s Database where we found a local club (NERC) and went to a competition. They were really nice and let us look at their bots and answered all our questions. I joined the forum and building started. We first made 2 hacked battlebots toys, one that competed at Pennbots and went 4-2, losing in the quarterfinals. Our first real bot, an antweight wedge, was Seeking the Truth. It has competed at Robot Battles, Motorama, Pennbots , and House of Nerc. Our most recent bot is an ant weight undercutter, Fluffy Bunny. Oddly enough Seeking the Truth is the far better bot. Just goes to show you.